At every age there are important stages in physical, emotional and cognitive development. 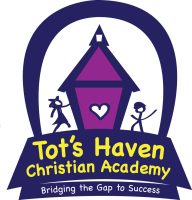 The teachers at Tot's Haven are trained to nurture your child and help them reach these important milestones and have fun learning! Your child will enjoy hands-on learning activities that include music and movement, explorations into math and science, early literacy and circle story times, dramatic play, outdoor play and motor skill development, sensory building activities and creative expression through art. Combined with a lot of love and laughter, the quality early education at Tot's Haven helps to build a lifetime love of learning. Toddlers are on the go and exploring their independence. We offer a mixture of teacher directed and independent activities that begin to bring science, math, language and your child's creativity alive each day. Know your child is in a safe, secure environment after school where they will find homework help, healthy snacks, fun and friendship.